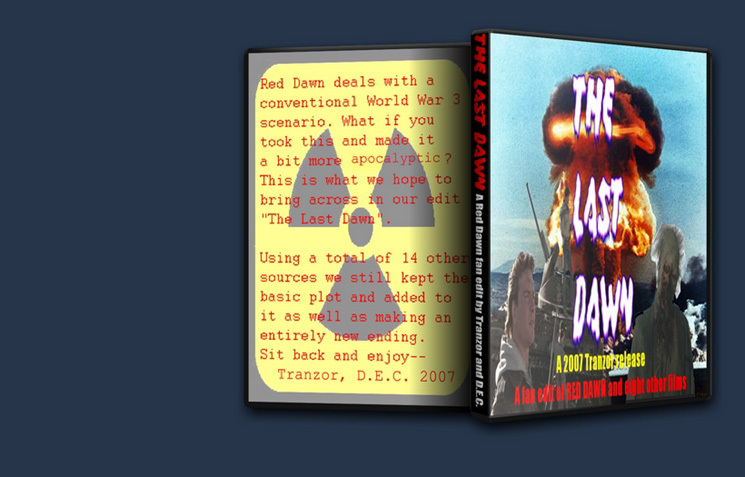 The Last Dawn by Tranzor and D.E.C. Red Dawn deals with a conventional World War 3 scenario. What if you made this a bit more apocalyptic, adding in a few other fun end of the world settings (such as the living dead)? This is what we hope to bring across in “The Last Dawn”. 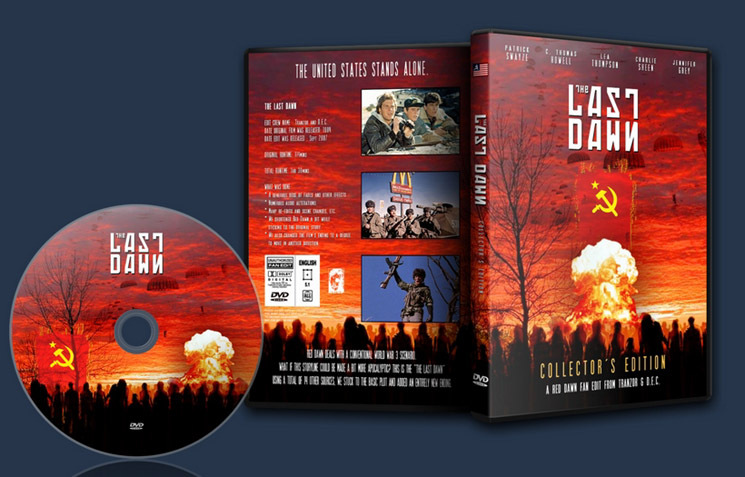 To make a fun mash-up of Red Dawn. 14 other movies were used in the making of this fanedit. Which movies? Don't know. many re-edits and scene changes, etc. We shortened Red Dawn down a bit while still keeping the story. Hate to be so harsh, but I found this unwatchable. I liked the idea, but the execution looked exactly like what it is: most of Red Dawn with some unrelated clips tacked on to the ending. I expected the “new” footage to be at least a bit integrated into the basis movie, either by having the kids confront zombies or by using extra clip of the actors (for example, City of Joy might have usable footage of Swayze attending the wounded, and the likes). The use of Windows Movie Maker style transitions didn’t help, nor did that in some cases the aspect ratio is totally different and hasn’t been cropped/zoomed. And, is it just me, or does America have two different Presidents at the same time? On top of that, the DVD is interlaced, maybe even with the fields reversed as there’s some blurring present in addition to the combing. I know Tranzor is a respected faneditor, and I know this was his firstling, but in no way would this get approved today. Sorry again. 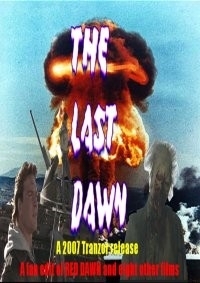 red dawn is cut down to a minimum and then fade out into a TOTALLY different direction. a fun edit idea. most of the enjoyment from this comes from the fat from red dawn removed. the ending works and is pretty interesting, but it feels a bit tacked on and the various sources are too obviously different. the story, however, works and is a fun way to experience red dawn again.